Gemiler is an island in the bay of Fethiye. It was occupied in Byzantine times, 4th to 7th Centuries AD. 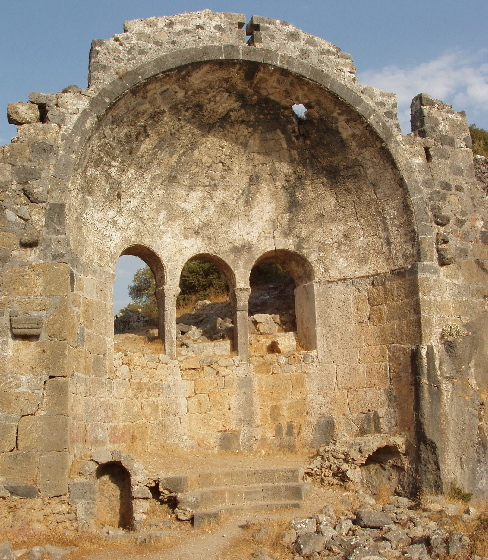 This is the lower church, probably built in the 6th Century. What is left standing is a covered walkway outside and this apse. The steps around the base of the apse are the synthronon, seating for the clergy.